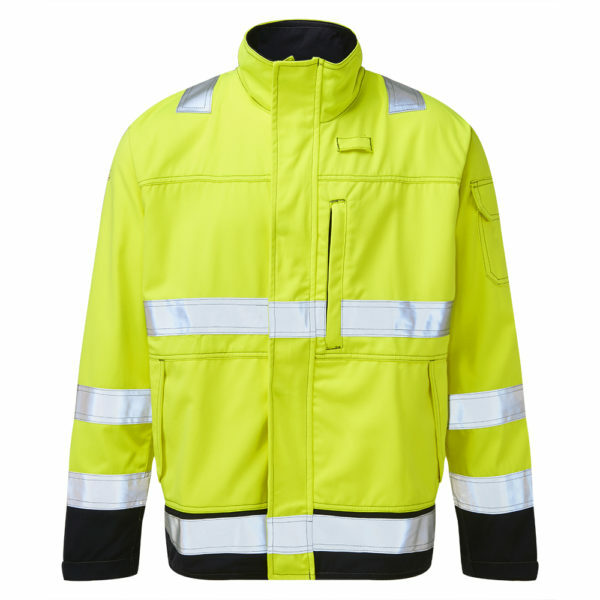 Modern cut jacket meeting the requirement of EN471 Hi-Visibility. The fabric has inherent fireproof features and does not depend on chemical treatment. Extremely comfortable, and soft wear with a fantastic touch. 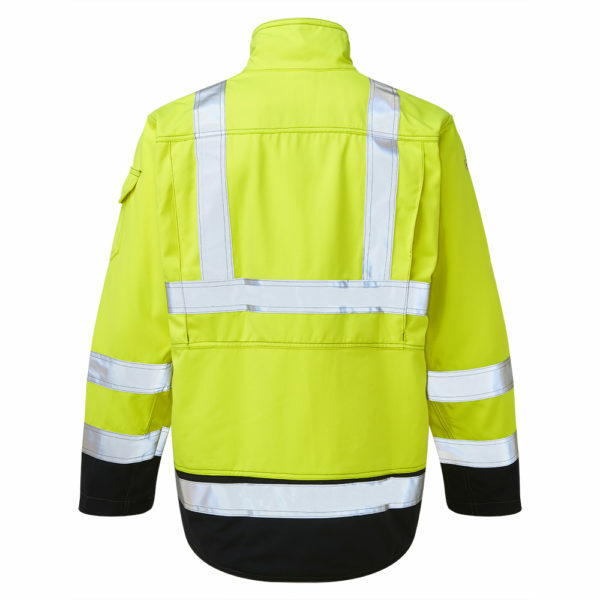 Modern cut jacket meeting the requirement of EN471 Hi-Visibility. The fabric has inherent fireproof features and does not depend on chemical treatment. Extremely comfortable, and soft wear with a fantastic touch. The tough fabric has high mechanical resistance for outstanding longevity. The washing shrinkage of this fabric is less than 3%. 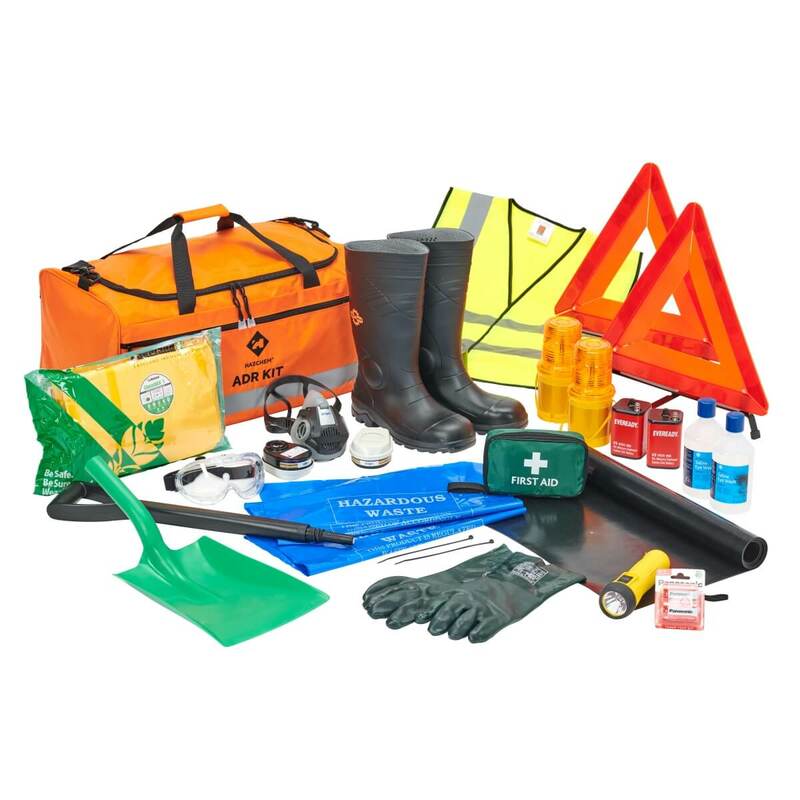 Ideal for drivers or personnel requiring a two part set – See also AS5816 trousers. 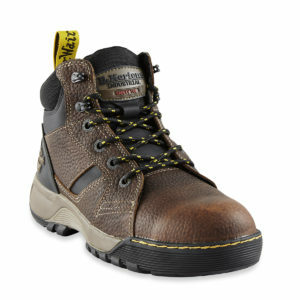 Two tone design with contrast stitching. 50mm reflective tape with double stitching. High quality 320gm inherent fabric. Soft to wear, fantastic touch, great on perspiration. Triple stitched side seams for strength. EN Standards Detail EN 11612:2008 Class A1, B1, C1, F1 (Protection against heat and flame).